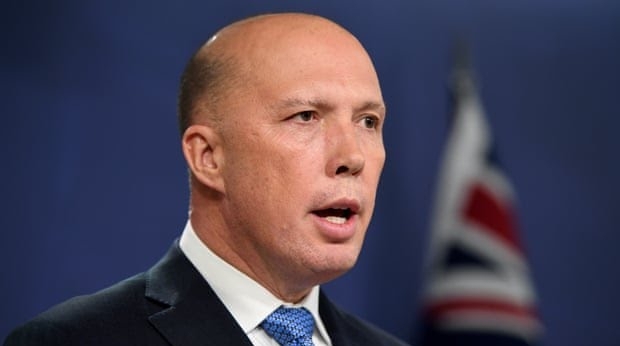 Lawyers for a man whose visa was cancelled in 2016 have argued that the cancellation was invalid because the Home Affairs Minister, Peter Dutton, was ineligible to sit in parliament. If successful, the case could have ramifications for more than 1,600 decisions made by Dutton to cancel the visa of a person convicted of a crime. The case is currently awaiting hearing at the Federal Court in Melbourne. A document filed with the court last month shows that lawyers for the man, referred to as FQM18, have alleged that Dutton’s business interest in childcare centres that receive government subsidies put him in breach of s.44, and that therefore the decision to cancel the visa was invalid because he was “not constitutionally permitted to act as a Minister”. 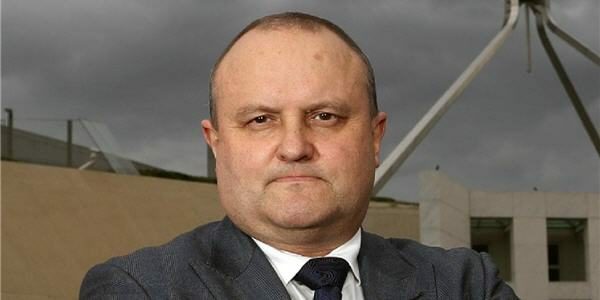 “At the time of the non-revocation decision, Mr Dutton was incapable of sitting as a member of the House of Representatives of the commonwealth of Australia because he had a pecuniary interest in an agreement with the public service of the commonwealth in breach of s 44(v) of the constitution,” they alleged. Lawyers from the government solicitor’s office, which filed the document, said they would argue on Dutton’s behalf that the application should be dismissed because questions of whether an MP or Senator is eligible to sit in parliament cannot be settled in the Federal Court. Dutton has resisted calls to refer himself to the high court to settle the question of his eligibility, presenting legal advice in August which he claimed showed “there has never been any doubt about my eligibility to sit in the Parliament”. FQM18 was in Australia on a humanitarian visa. The visa was cancelled on character grounds on 7 July 2016, five days after the federal election and 12 before Dutton was sworn in as a minister of the 45th Parliament. Carina Ford Immigration Lawyers are acting for the man and declined to comment. Two other groups are reportedly investigating whether questions over Dutton’s eligibility will allow their clients to overturn immigration decisions. If successful, the challenge will call into question all decisions made by Dutton under s.501(3A) of the Migration Act 1958, which gives the Minister power to cancel the visa of any person who has a substantial criminal record or who fails the character test on other grounds including committing an offence while in immigration detention and being “reasonably suspected” of being connected to organised crime. A “substantial criminal record” includes being convicted and sentenced to at least 12 months in prison. 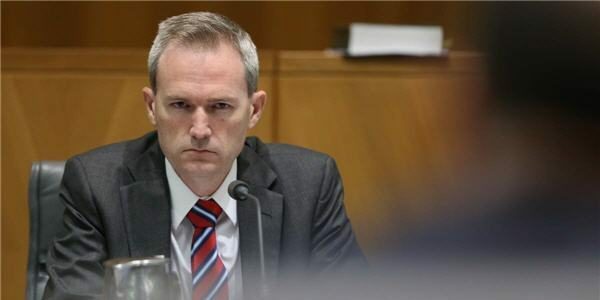 Labor said Scott Morrison’s “refusal” to refer Dutton to the High Court meant that “Australia’s ability to kick foreign criminals out of the country is now in jeopardy”. “If Mr Dutton does not refer himself to the high court immediately, it is likely this case will remain in legal limbo – allowing the foreign criminal in question to stay in the country indefinitely – and potentially opening the floodgates to countless others,” the Shadow Attorney General, Mark Dreyfus, and the Opposition Immigration spokesman, Shayne Neumann, said in a joint statement. Dutton is absent from parliament this week following surgery for an arm injury.